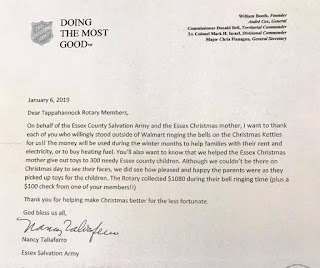 This "thank you" letter from Amanda Hudgins needs to be shared with everyone in the club and connected to the Big Croaker Tournament. 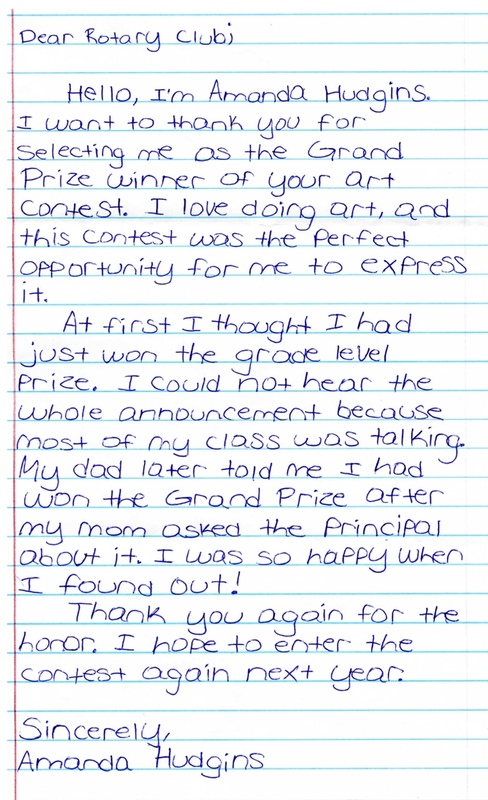 It is obvious that our little Croaker Art Contest was very special to Amanda. 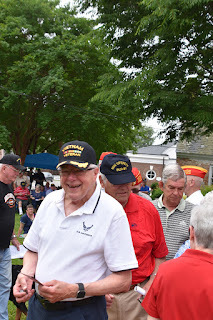 Over fifty veterans lined up receive lapel pins with over half coming from Essex County including some our Rotarians… .Retired Air Force General C Norman Wood was presented his Vietnam Veteran Lapel Pin. 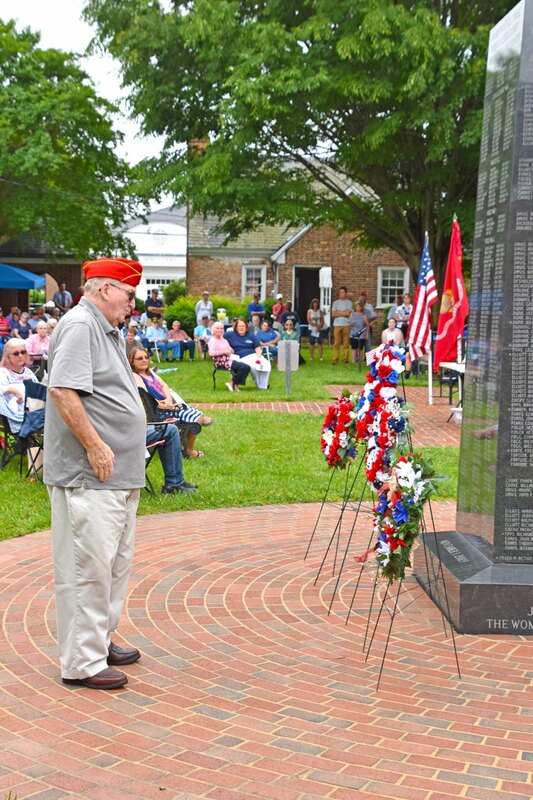 Tommy Neuman also a member of USMC Detachment 1062 places the Marine Corps League wreath at the Essex County War Memorial. 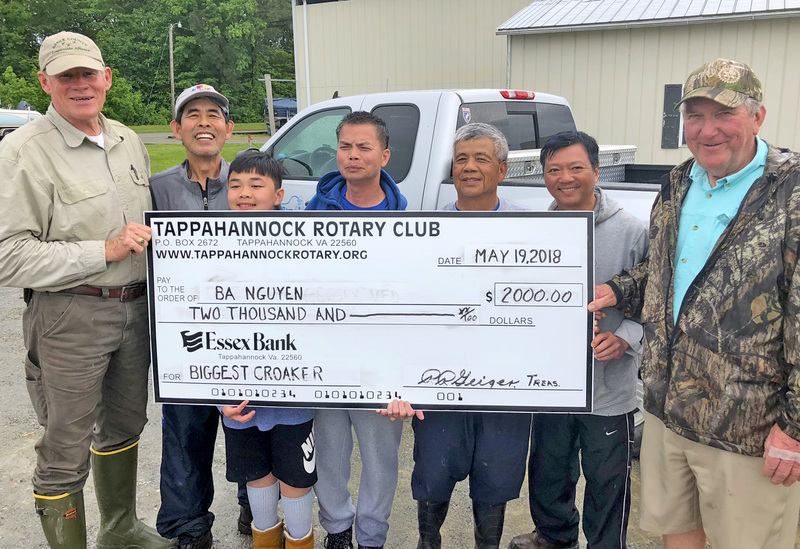 As part of the Tappahannock Rotary Big Croaker annual tournament, the club seeks participation in the design of the t-shirts that are handed out to each tournament contestant. 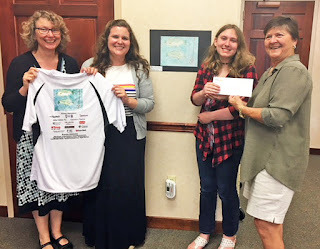 Beth Rohne (right) is the Youth Services Specialist at the Library and kicked off the contest with a fish printing workshop, A total of 13 school students attended, representing 4 different Essex County schools. 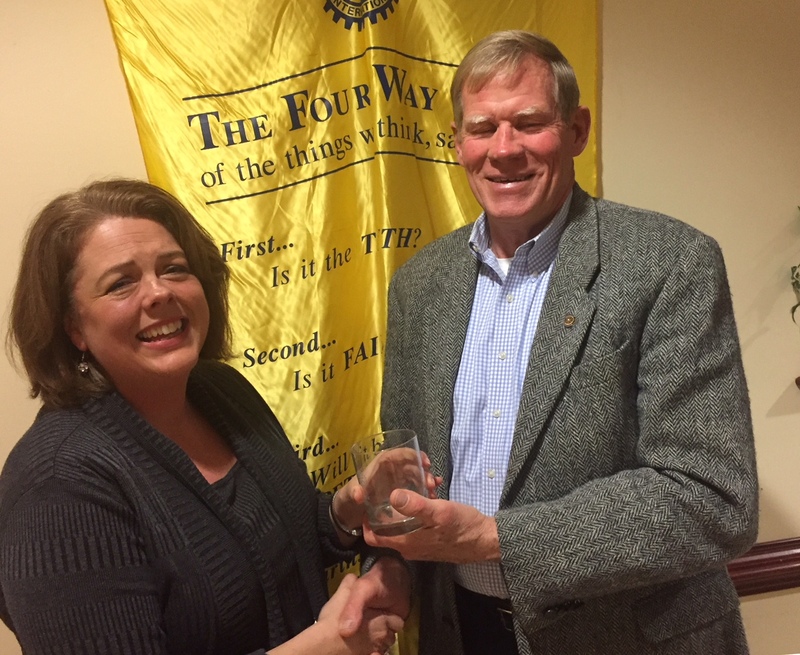 Beth took the lead role in this first ever partnership between Tappahannock Rotary and Essex County Library headed by Dana Smook (2nd left). Entries had to pertain to the Rappahannock River and croakers. There were 12 total entries judged by a committee of several Rotarians. Amanda Hudgins (3rd left) won $25 for the age group and an additional $50 for being grand prize winner. 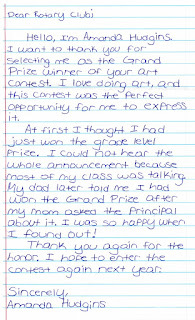 Verna Zhuo, a 5th grader at EIS, won in her age group. Check was presented by JoAnne Ruffa (right), Youth Services with Tappahannock Rotary Club. The Big Croaker art is currently on display in the Essex Public Library. 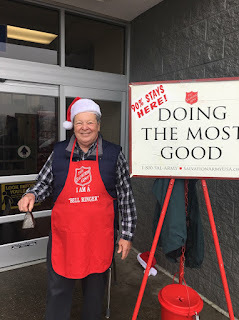 Rotary Big Croaker Big Fun Raiser! Tappahannock Rotary Big Croaker Tournament $2,000 check for first prize is presented by (from left to right) Carl Strock - Tappahannock Rotary President, Hong Nguyen, Ba's son Khang Nguyen who won second prize of $200 in the youth division, Ba Nguyen (center), My Ho and Loc Truong of Springfield VA with his family and (right) Jim Wawner Tournament Weigh-Master. Not pictured Jay Brimmer, Tournament Chair. The biggest croaker this year was 1.05 lbs! The Amazing Life of Michael Faulkner! I'm just bowled over with the skill and talent of Michael Faulkner who presented his program about dog show judging and dog breeding. Since the age of nine Michael has been a breeder and graduated to show judging including Westminster and developed his judging skills for many breeds and show categories! 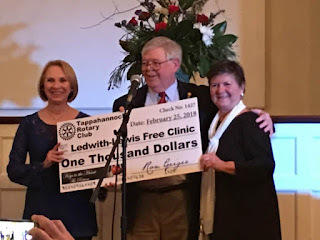 And at the same time being director of the Ledwith Lewis Free Clinic! What a stellar series of accomplishments and amazing life! 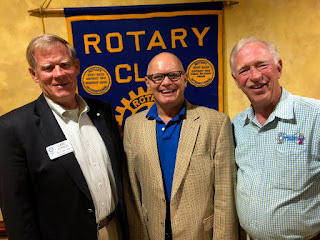 To read more about Michael, visit his impressive dog show page at https://wds2018.com/michael-faulkner-us/ With Michael is Carl Strock, Rotary Club President and Emerson Hughes, Program Chair. 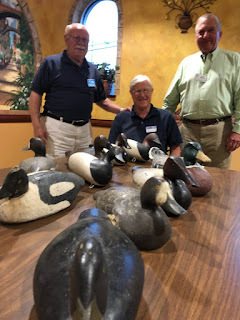 Larry Sisson, formerly of Nomini Creek and now an Essex County resident has been a duck decoy collector for over 50 years. Larry has a collection of several hundred valuable decoys and showed the Rotary Club a sampling of a dozen decoys including Madison Mitchell, Paul Gibson, Ward Brothers of Crisfield, Lloyd Tyler, Dodge, Mason and Stephens. Decoys are made from cedar, pine, cork and balsa, or papier-mâché, and then painted. Decoys are now relatively valuable and worth anywhere between $100's to $100,000+. From left to right, Bill Croxton, Assistant Governor, Larry Sisson, and Jim Wawner, program chair. What an amazing evening at Tappahannock Rotary Club's February charity fundraiser "Keys to the Heart - The Return" featuring many of our local musicians. Thanks everyone! 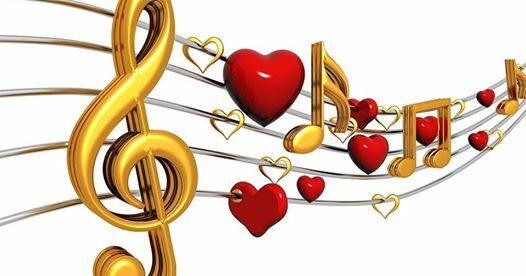 Tappahannock Rotary Club and Host & Emcee Emerson Hughes welcome you to join them February 24, 2018 at Keys to the Heart the Return; an enchanting evening at the Old Beale Courthouse, featuring local musicians & vocalist, wine tasting, assorted cheeses and chocolate. Tickets are $40.00 each. 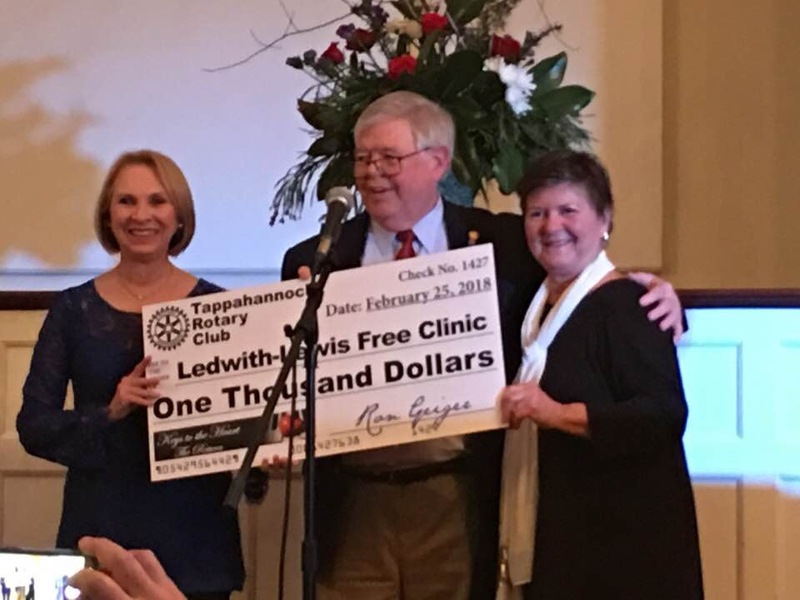 Don't miss this special evening - for sponsorship and ticket information call: Fred Woodard at (804) 443-1313 or Joanne Ruffa at (804) 443-3737. Among the local artists performing are: Wanda Mussleman, Wesley Pippenger, Kathy Hughes, Rev. David Medlen, Beth Harvey, Angie Pizzeck, Emerson Hughes, and others. 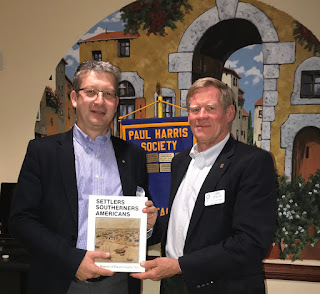 Dr. Aleš Žnidarič, President of the Rotary Club of Ljubljana, Slovenia, was a guest of the Tappahannock Rotary last week. Dr. Žnidarič, presented a program about the Rotary Clubs in Slovenia. 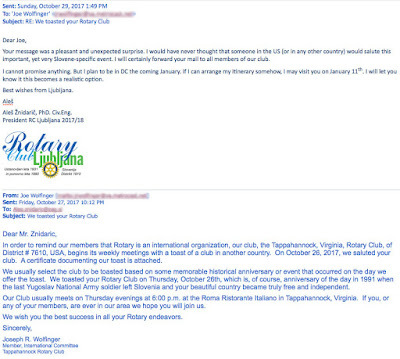 The Ljubljana Rotary Club was first established in 1931, just four years after the Tappahannock Rotary Club. In 1941 it ceased to be a functioning club during the difficult years of WWII and the following period in which Slovenia was a part of the Yugoslav Republic. It was reestablished as an active Rotary Club in 1989 and was the first Rotary Club in the area of former Yugoslavia after the Second World War, and the third in Eastern Europe. 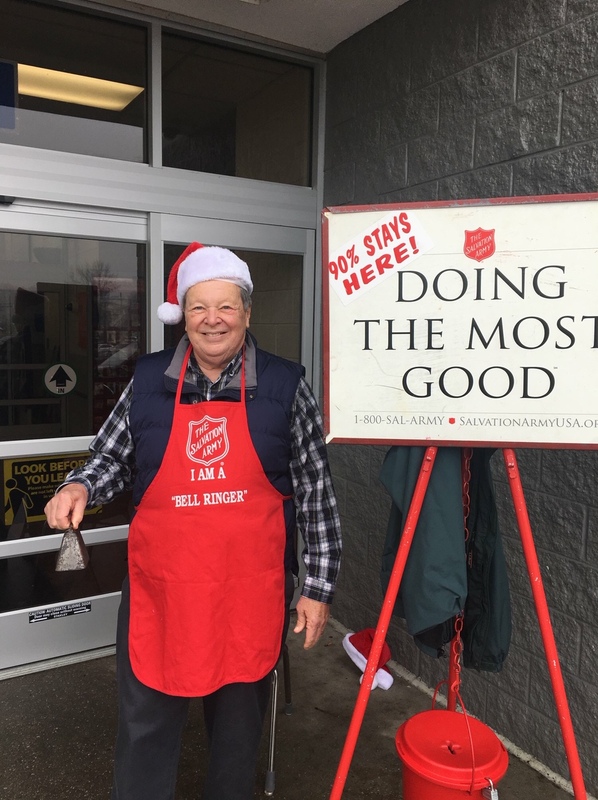 Today there are 49 Rotary Clubs in Slovenia conducting many charitable works in Slovenia and throughout the world. 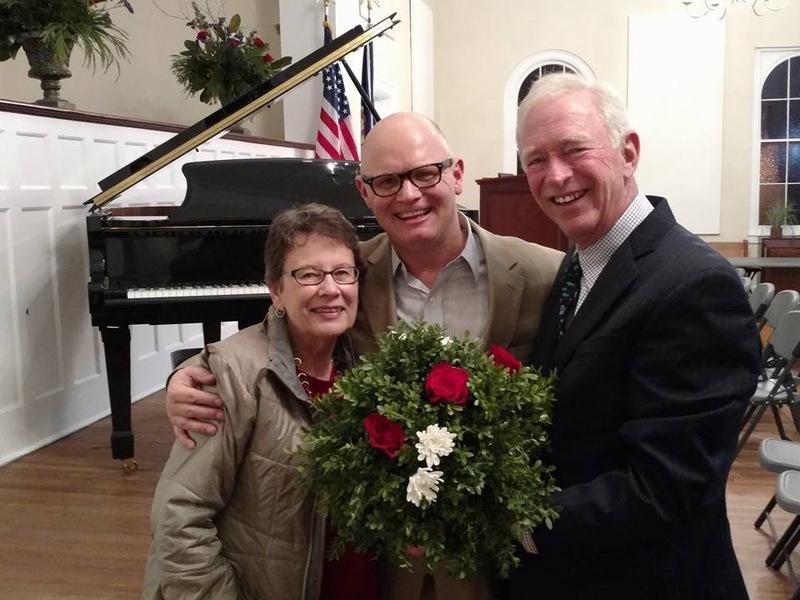 The visit came about as a result of the Tappahannock Club's custom of beginning its weekly meetings with a toast of a club in another country. The club to be toasted is selected based on some memorable historical anniversary or event that occurred on the day the toast is offered. 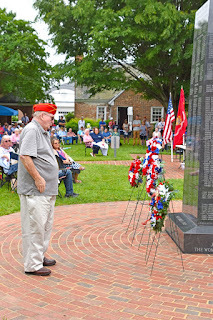 On October 26, 2017, the anniversary of the day in 1991 when the last Yugoslav National Army soldier left Slovenia and the country became truly free, the Tappahannock Club saluted Dr. Žnidarič's club. 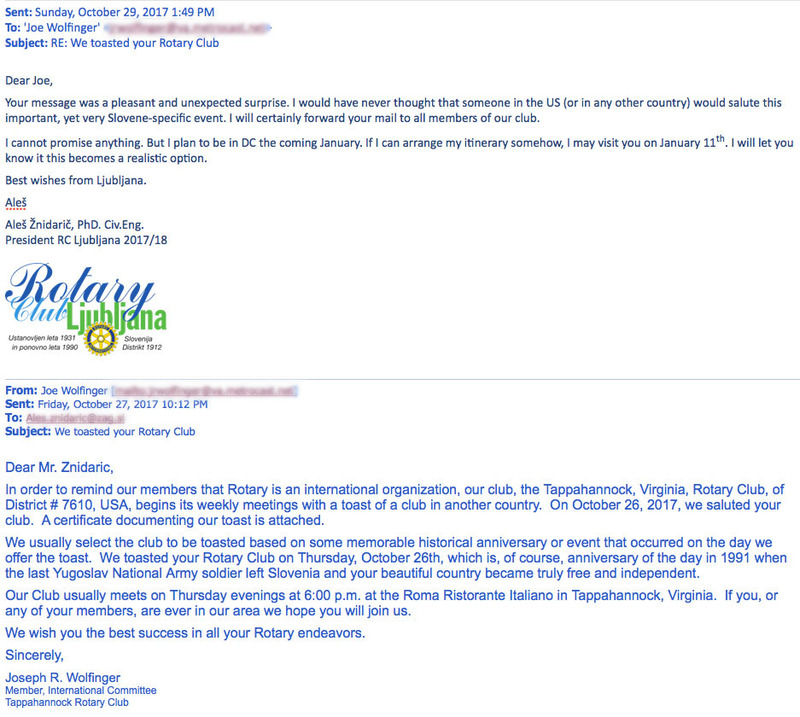 An email notifying Dr. Žnidarič of the toast led to correspondence between to the two clubs. Dr. Žnidarič holds degrees in structural engineering from the University of Ljubljana. He has worked for 29 years for ZAG, the Slovenian National Building and Civil Engineering Institute, where he is currently Research councilor and head of the Department for Structures. He is a board member of International Society of WIM (Weigh-In-Motion), and was in Washington, DC, to attend a meeting of the Transport Research Board. 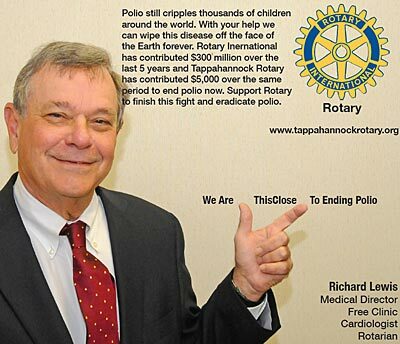 He was able to extend his visit to attend the regular Thursday evening meeting of the Tappahannock Rotary Club. Tonight's Rotary program presented by Sarah Pope executive director of RCC Educational Foundation Inc. After ten years at Menokin Foundation, Sarah asked herself what can I give back to the community? RCC provides high quality, affordable education for students in NN and MP area. RCC is a small college, knows its students, helps difficult situations. RCC serves 12 counties (size of Delaware) with 5,000 students. Two years and transfer to 40 state and private colleges within Virginia. RCC #1 nursing program in state and RCC EFI awards $600,000 in scholarships to students. 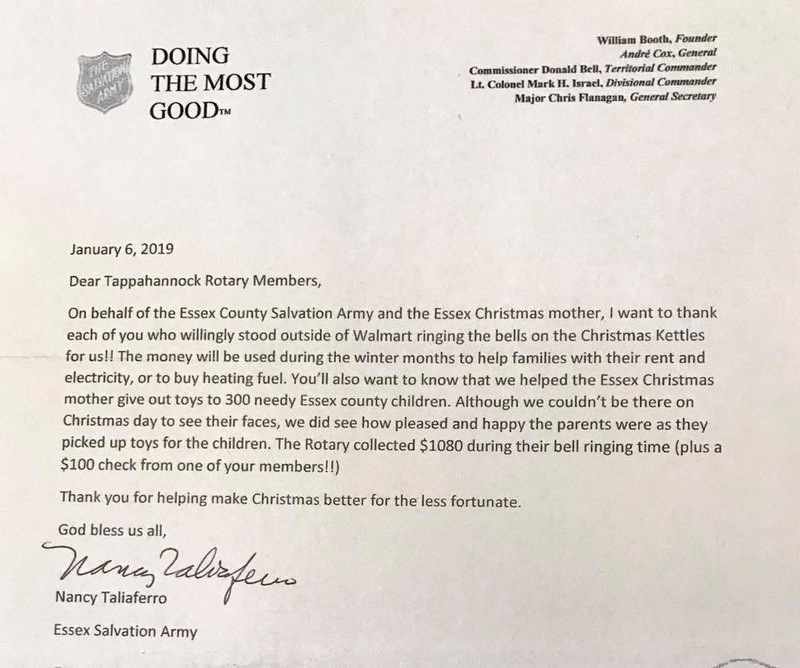 Here is how our Tappahannock Rotary Club's $500 contribution last week to the Shelter Box Hurricane Harvey Fund is being used in Texas. 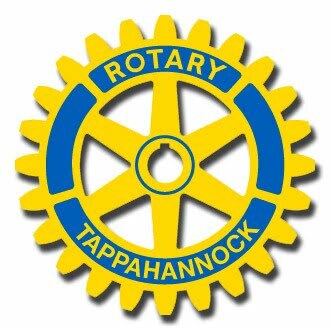 Tappahannock Rotary Club participates in many fund-raising activities including the annual Pig Roast, RivahFest local festival, and the Croaker Fishing Tournament. 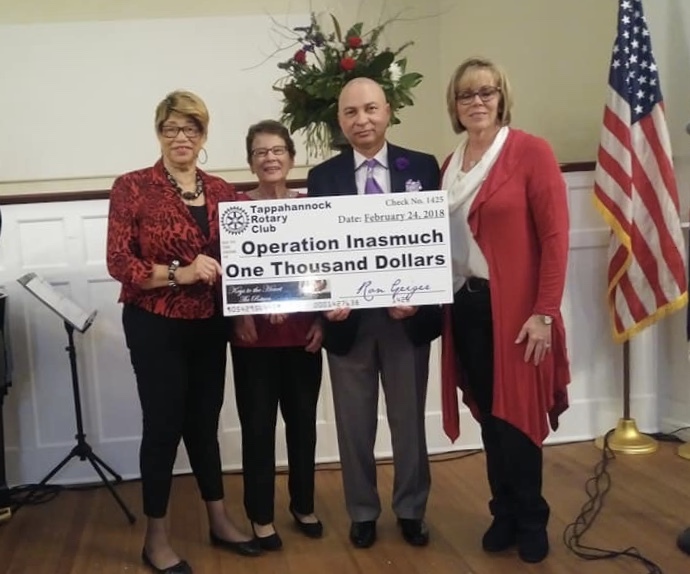 These funds are then used to support diverse community groups, organizations and individual students for the benefit and improvement of the services and opportunities in Tappahannock and Essex County.